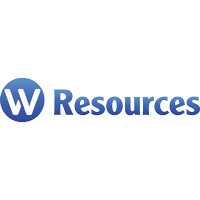 W Resources Plc (LON: WRES), the tungsten, copper and gold mining company with assets in Spain and Portugal, has today announced the mechanical completion of the La Parrilla crusher plant. The crushing circuit has been carefully engineered to minimise creation of tungsten fines and is designed to process 350 tonnes per hour of ore. It comprises of a jaw crusher and secondary cone crusher both with vibrating grizzlies prior to size reduction and two tertiary cone crushers in closed circuit with a double deck banana screen. All of which are supplied by a top tier crushing equipment provider, Metso Minerals Portugal, Lda. The circuit has been designed for modular expansion to 700tph requiring no modifications to the installed infrastructure in the future and is currently configured to feed X-Ray ore sorting going forwards. The high level of automation in the design and robust wear liner packages will permit strong operational control and minimise maintenance requirements going forwards.